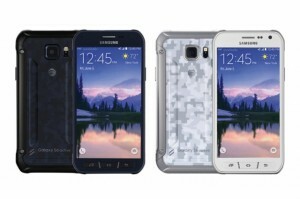 That Samsung slip-up was as clear indication as any that it’s coming, but the Galaxy S6 active is now finally official. The element-defying version of the Korean flagship was just unveiled as an AT&T exclusive in the US. The Samsung Galaxy S6 active shares its 5.1″ QHD Super AMOLED screen and Exynos 7420 chipset with the regular Galaxy S6, but adds IP68 and Mil-STD-810G-certified protection. 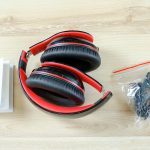 That means you can submerge the handset to up to 1.5 meters for up to 30 minutes and it’s completely dust-proof. You also get thermal and shock protection for additional piece of mind.The Galaxy S6 active also brings another upgrade over its vanilla sibling – it comes with a 3,500 mAh battery – a substantial 40% increase in capacity and there’s also built-in wireless charging. Unfortunately, rumors of a microSD card slot turned out false so you are limited to the 32GB of internal storage. It’s also yet to be confirmed how much extra bulk the ruggedness and more spacious battery have added. You still get the capable 16MP/5MP camera combo on the Galaxy S6 active and a TouchWiz-covered Android 5.0.2 out of the box. As a limited promotion AT&T will also let you get the Samsung Galaxy Tab 4 8.0 for free if you are willing to sign a separate two year agreement or the Samsung Wireless Charging Padfor 50% with the purchase of the Galaxy S6 active.